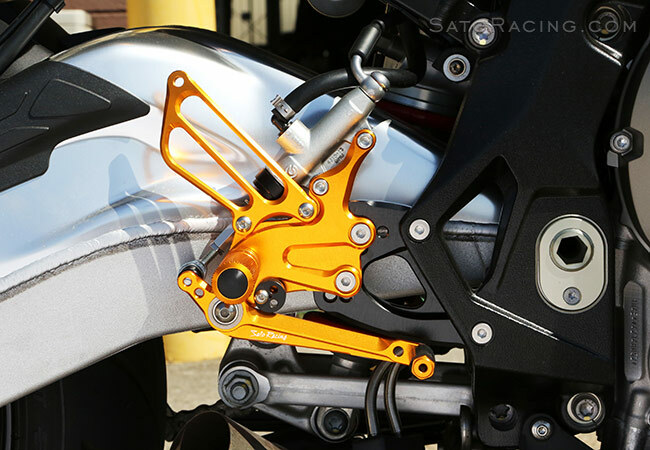 SATO RACING 'Race Concept' Rear Sets for 2015 and up BMW S1000RR are pure, no-compromise race-spec Rear Sets, designed for track-only bikes. 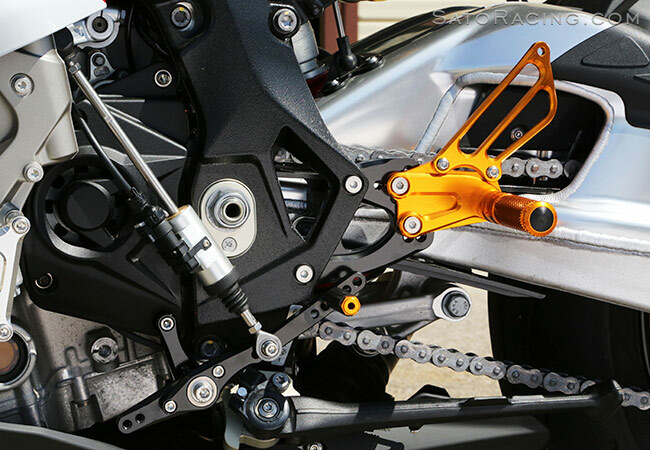 CNC-machined out of high grade billet aluminum, these Rear Sets feature a modular base plate / step plate design that provides a useful range of positions for the track, placing your feet higher up and further back compared to stock. 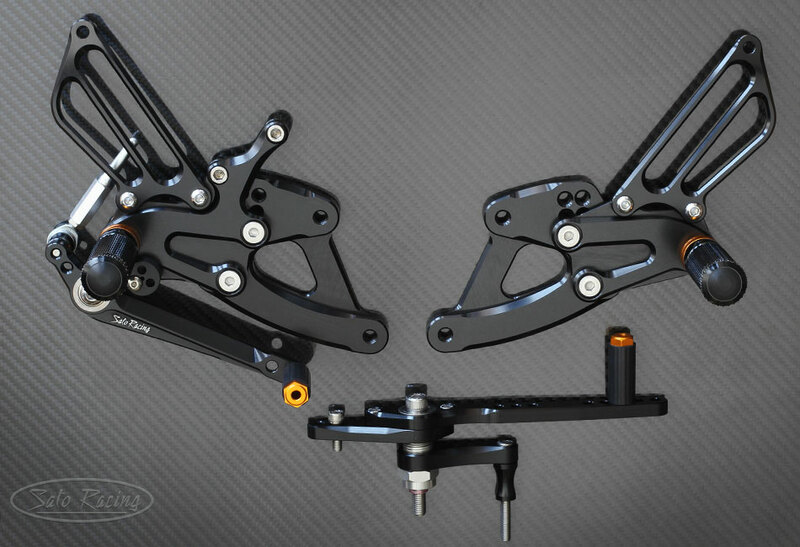 Choose from anodized Black finish with Gold accents, or Gold finish with Black base plates and shift assembly. 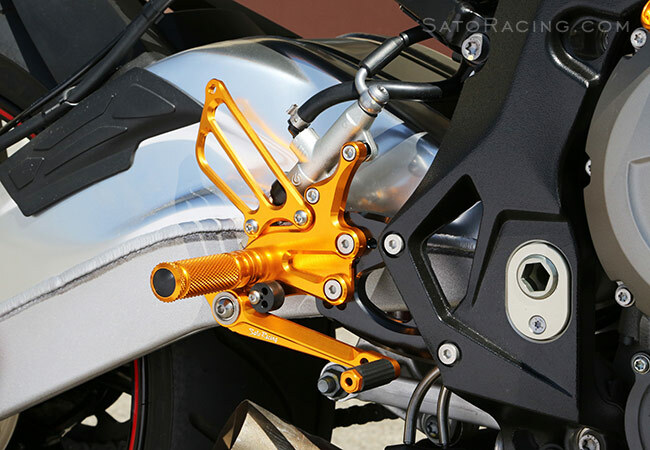 NOTE: Not for street use - Not designed for compatibility with ABS or brake light switch. Not compatible with the stock exhaust on US-spec model. 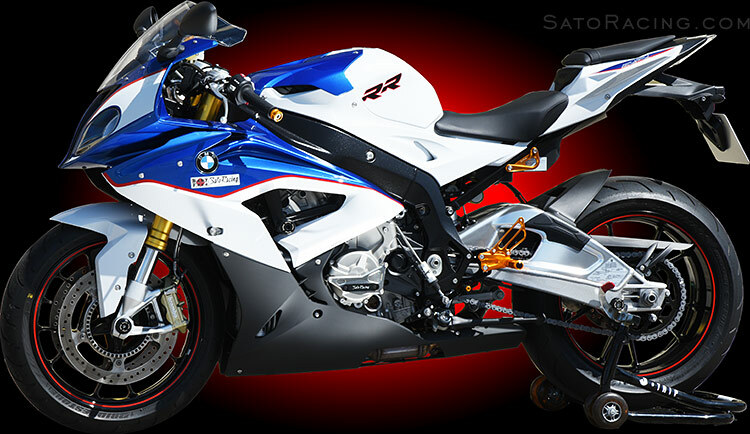 (For more street-friendly Rear Sets, see our standard S10000RR '15- Rear Sets ). 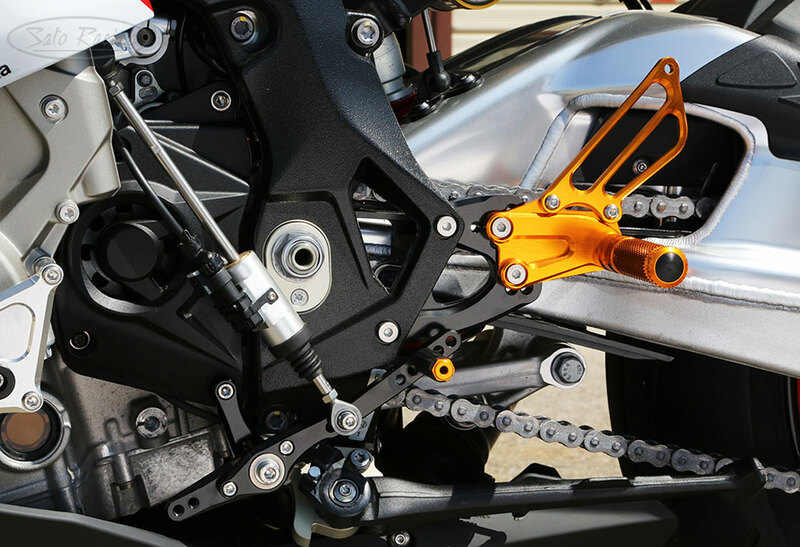 Modular design with a separate base plate lets you quickly change the mounting position of the Rear Set assembly by removing the 2 bolts. Rotate the pedal stopper to adjust the rest height of the brake pedal. 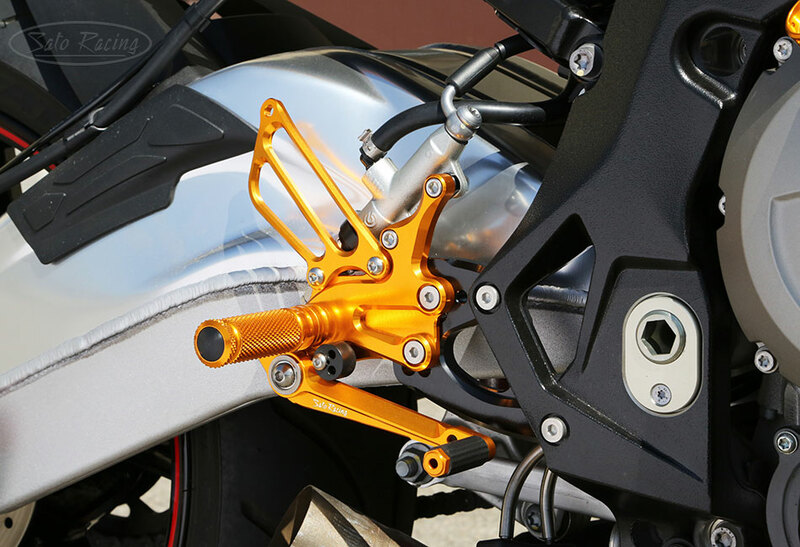 For use with compatible aftermarket exhausts (such as full systems that hang from the passenger peg bracket location). 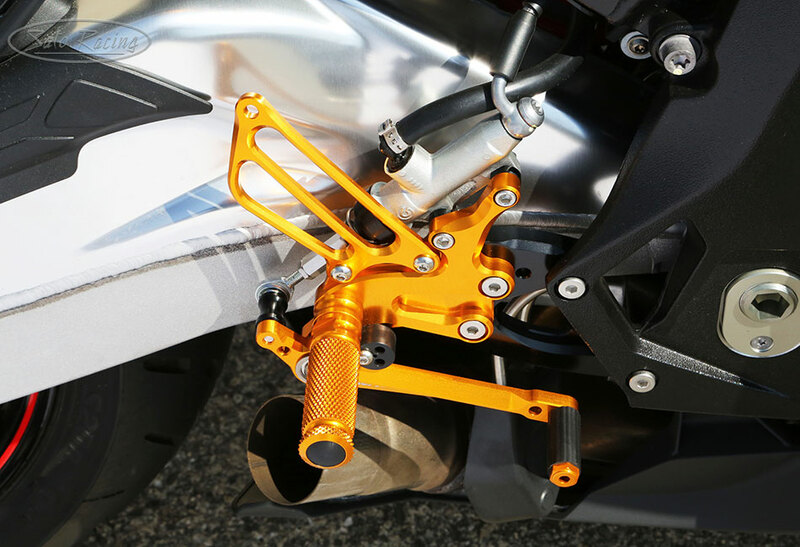 Not recommended for use with the stock exhaust canister (or similar design) on the US-spec S1000RR, since there is no easy way to attach the exhaust hanger bracket to the Rear Sets. 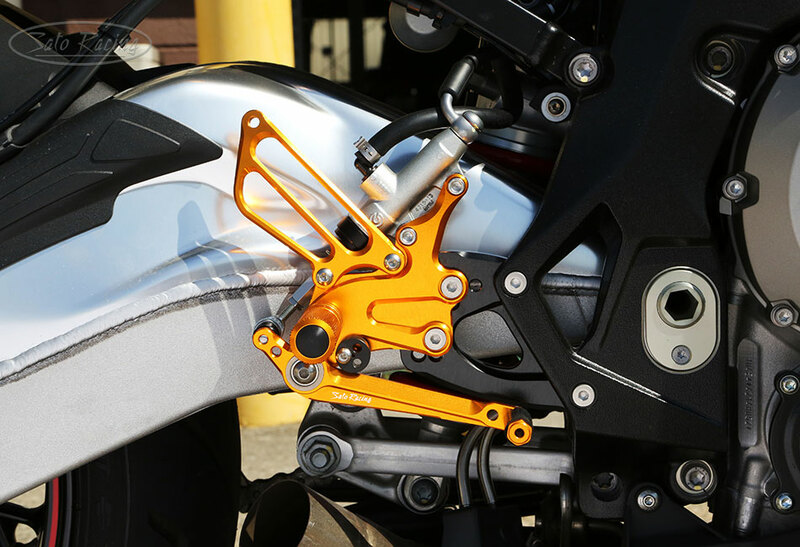 Heavy-duty shift pedal can provide either stock or reverse (GP) shift pattern. 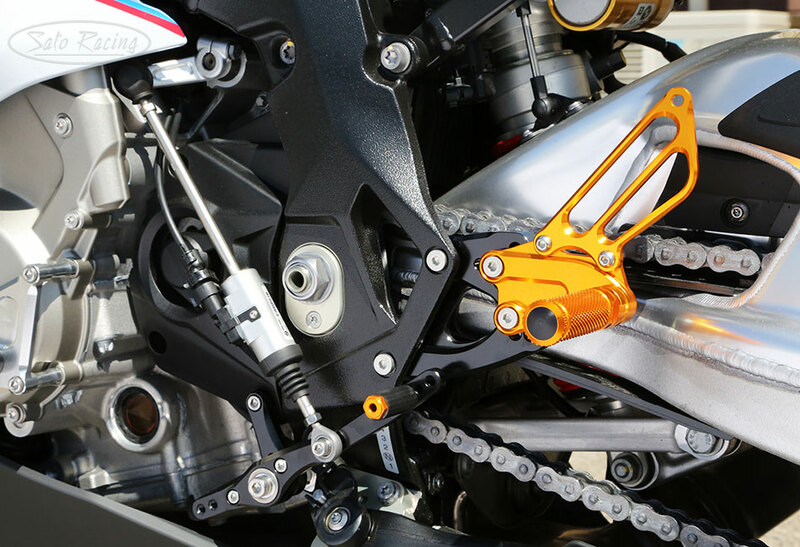 Numerous adjustment holes let you fine-tune the shift stroke and feel. tips with rubber grips. 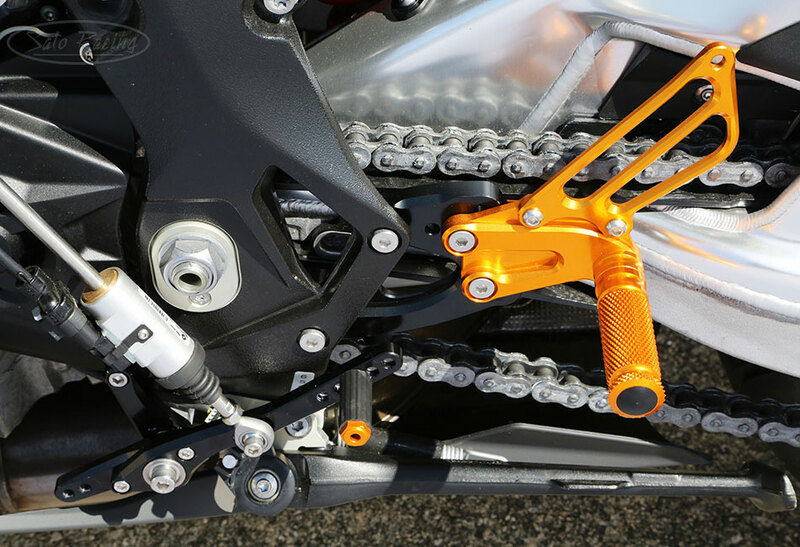 Finely knurled footpegs provide excellent grip and a nice feel. 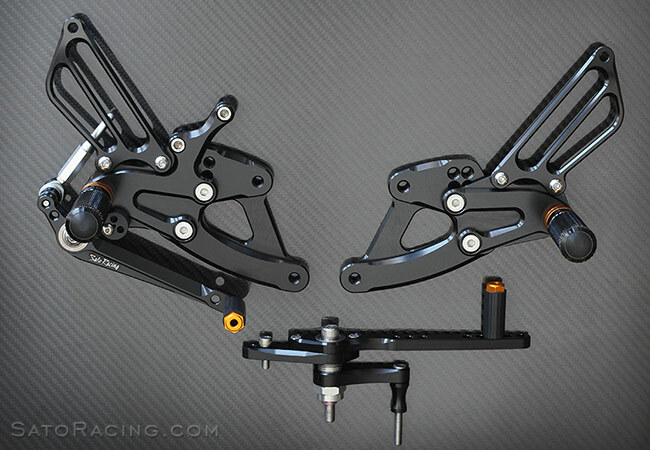 The Black 'Race Concept' Rear Sets come with Gold peg collars and pedal tips. 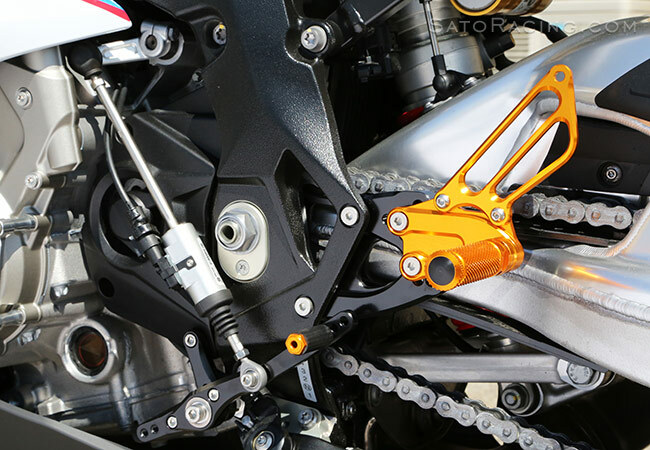 NOTE: For dedicated race bikes only. Not for street use. Not designed with ABS or brake light switch compatibility in mind. 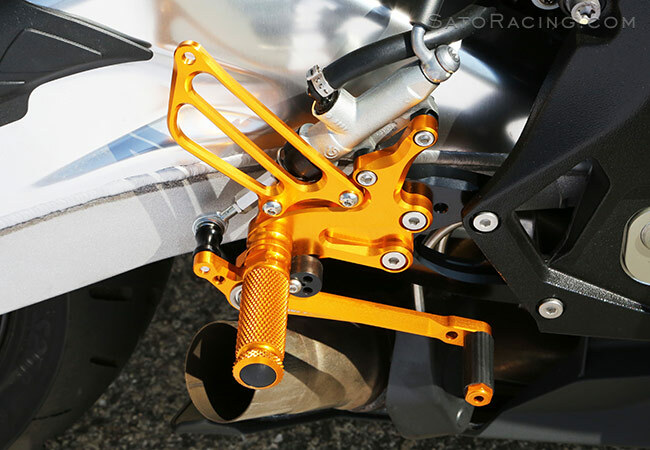 Not for use with the stock exhaust on 2015-16 model years, since there is no exhaust hanger.